Elias Venezis (1904-1973) is a well-known Greek prose writer, who belongs to the so-called 1930 Generation (Η γενιά του ’30). His novels and short stories reflect his horrible experiences of cruelty before and after the Asia Minor Disaster (1922). His first book, Number 31328, published in 1931, is the chronicle of Venezis’ fourteen months spent as a “slave laborer” in Anatolia, rebuilding what had been destroyed during the war between the Greeks and the Turks. In a later novel, the Aeolic Earth (1943), Venezis recounted his childhood in his native Aeolia. Lawrence Durell, in his preface to the English edition of Aeolic Earth (or Beyond the Aegean) considered Venezis “to be together with Myrivilis one of the greatest Greek novelists of to-day”. The papers of Elias Venezis consist of personal (including Venezis’ letters from the prison) and professional correspondence (correspondence with publishers and critics), unpublished radio speeches (from his career at the National Greek Radio), and newspaper clippings. The collection, gift of his daughter Anna Venezi Kosmetatou to the Gennadius Library in 2010, is being processed. 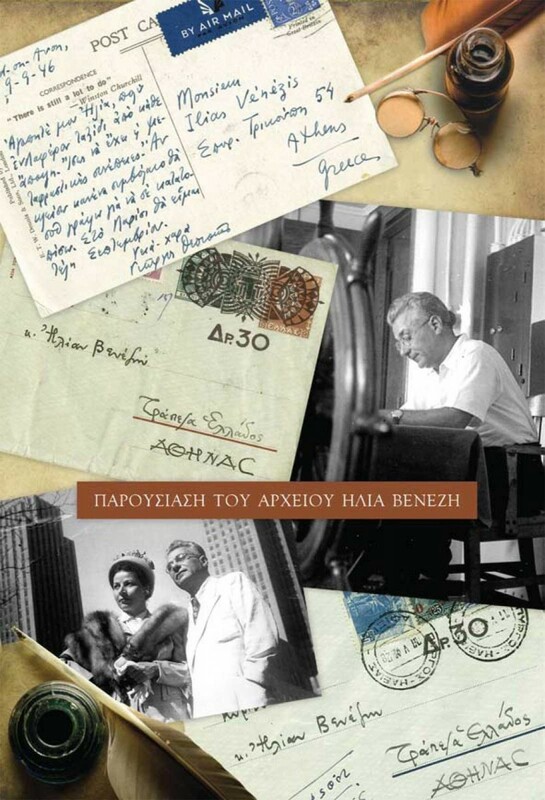 Anna Venezi Kosmetatou (Venezis’ daughter), Takis Theodoropoulos (Writer), Demetra Papaconstantinou (Demos Fellow) and Natalia Vogeikoff-Brogan (Doreen Canaday Spitzer Archivist) will present the Elias Venezis’ archive. A small exhibition of archival material will also be on view. It can also be viewed in the ASCSA lecture archive approximately one week after the event.